Anita Dongre Foundation works with the local Government and village Panchayat to create Self-Help Groups and bring employment back to Indian villages. “We need to empower our women by providing them sustained, gainful livelihood opportunities in their own villages, without them having to migrate elsewhere. For skilled artisans, we provide them work under our brand Grassroot and for unskilled labour, we skill them through our Foundation, at community tailoring units and also provide them employment opportunities – both in their own villages. Driven by purpose and provenance, Anita Dongre Foundation is a catalyst for change that works towards enriching the lives of people from marginalised communities of India. The foundation develops livelihood opportunities for women in rural India by providing skill training. This is reversing the effects of job migration and bringing employment back to the villages of India, while giving women an equal voice. 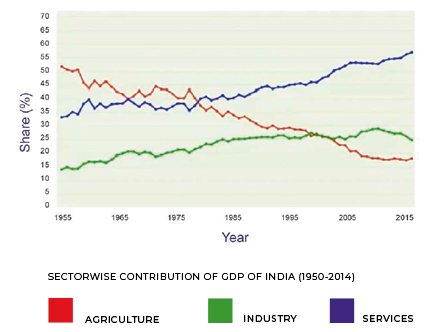 For thousands of years, India’s rural economy has relied heavily on agriculture. With a sharp decline of revenue in this sector, villages in India are being forced into penury. Able bodied men are compelled to leave their homes and families in search of a livelihood. Women are left behind to take care of the children, the elderly and the sick with no means to support this effort. Under the aegis of The Anita Dongre Foundat ion's women empowerment initiative,the company has set up ·commun ity tailoring (Training & Production) centers in rural Maharashtra,India whe rein marginalized tribal women are trained professionally to make garments. These community tailoring centers are equipped with modern industrial sewing machinery for making ·garments/accessor ies as per contemporary designs and styles.Our company's engagement with these women ·doesn't stop at just training. We also provide them with forward linkages such as assuring regular supply ·Of fabrics, raw-materials. too ls and organized buying-back of the tailored garments at fair per piece rates. This has resulted in a profound socio-economic impact amongst the communities being served. The Foundation envisages systematic capacity-building of the women trained at these centers, presently ·organized under registered women Self Help Group (SHG) collectives, for them to be manage these centers independently and become self-sustaining in medium to long-term. The Foundation envisions 50 such community tailoring centers to be set-up across the country in the next 3 years as a part of its women empowerment initiative. Located in Maharashtra's Palghar district,the tribal village of Charoti used to face the daunting challenge of unemployment - experienced by almost all Indian villages. Their main source of livelihoods - agriculture, no longer being econo mica 1ly viab le pushing viIlagers to migrate to urban areas for work. In 2015, when approached by Of fice of Smt. Poonam Mahajan, Hon. Member of Indian Parliament,to explore extending sustained livelihood opportunities to tribal women of this village,adopted under Sansad Adarsh Gram Vojana (SAGV) scheme, The An ita Dongre Foundation responded by setting up a commun ity-focussed tailoring unit. Here we trained local women in cutting, sewing and finishing garments. In the initial phase,15 industrial sewing machines helped train 40 women. Each woman was given a stipend during this training period. Encouraged by the results of the maiden effort, more machines were added in following yea rs and more women were trained.The garments types made at this unit incl. ladies tops, tunics, palazzos pants,and Kurt is for Globa l Desi brand and men's bundi,kurta for An ita Dongre brand.Today the centre has 50 sewing machines. This was done with the support of and in collaboration with Jawhar Nagar Parishaci, UNDP, Tribal Development Dept. of State Govt, DHFL„ Maharashtra State Skill Development Society and Power Grid Corp or India Ltd. Having completed their training, women from Jawhar and neighbouring villages are now equipped with professional skills of making accessories and ciarments. Currently, the women working at the Jawhar Center experience a gradual increas.e in their rri,irithly income as they receive more orders and improve upon their attendance and productivity. This Indian Independence Day (15th August 2018) wa e is I for villagers of Dhanevari (Dahanu Taluka of Palghar Dist. of Maharashtra. India). 25 of its women clot an important opportunity to earn sustained livelihoods through training in professional tailoring at a community garment tailloring center set-up in their These women are currently undergoing a 3 month structured training program at the center equipped with 20 industrial sewing machines. Under a unique Public-Private-Community partnership model, in addition to Anita Dongre Foundation, the other key stakeholders include -Village Gram Panchayat, Tribal Development Department- Govt. of Maharashtra, Pala hear District Collector office. Lupin Foundation. power Grid Corporation of India Ltd., and Maharashtra State Skills Development Society (MSSDS). This is phase I of the joint-endeavour. The work for phase II has begun and the site was inaugurated on the same day as the launch of the phase I unit. Once both the phases are complete, the center will house SO machines benefitting GS women. This Gandhi Jayanti, 2nd Oct 2018, was special for villagers of Modgaon, a tribal village of Palghar Dist. as more than 25 of its women would get an important opportunity to earn sustained livelihoods post-skilling at a community garment tailloring center set-up in their own village. 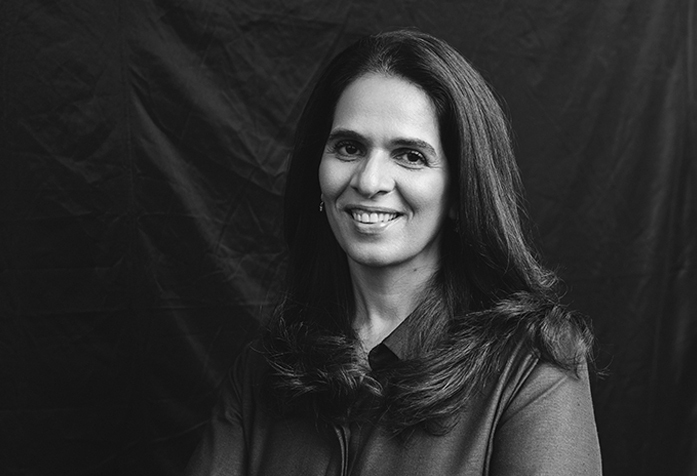 Founded in 2015, the Anita Dongre Foundation was set up to empower women, especially in rural India by bringing jobs back to the villages and helping them become independent economic centres. By training women in the art of tailoring (sewing, pattern cutting and so on), Anita Dongre Foundation ensures economic independence for these women through an accessible and dependable source of income. In addition to training these women, the foundation also provides a travel stipend to maintain a comfortable and stress-free work environment. Anita Dongre Foundation works with the local Government and village Panchayat to create Self-Help Groups and bring employment back to Indian villages. As Anita Dongre battled societal prejudices, she noticed the absence of opportunities for other women. Whether in rural India or amongst the newly immigrated urban population, women continued to remain financially dependent on the men in their lives, and as a result remained excluded from any decision making roles in their private and public life. In 2015, Anita Dongre Foundation was set up to address this concern with a three point agenda. © 2018 House of Anita Dongre Ltd. | All Rights Reserved.